Want to design iPhone apps? Build 14 iOS 8 Apps Using Xcode 6 & Apple's New Programming Language - 36+ Hours of Elite Training! Includes iOS 7 bundle. Usually $998. Sale ends August 25. Click to see the whole newsletter issued on John's birthday. Happy birthday John Green! Hank Green interviewed for "Go Learn a Thing"
14-year-old Parkview High School Freshman, Caleb Christian was concerned about the number of incidents of police abuse in the news. Still, he knew there were many good police officers in various communities, but had no way of figuring out which communities were highly rated and which were not. So, together with his two older sisters: Parkview High School senior Ima Christian, and Gwinnett School of Math, Science, and Technology sophomore, Asha Christian, they founded a mobile app development company– Pinetart Inc., under which they created amobile app called Five-O. One of the world's most powerful women is about meet one of the youngest activists: Malala Yousafzai will soon sit down at Facebook headquarters for a live-streamed conversation with COO Sheryl Sandberg. Sandberg will moderate a discussion on Aug. 8 at 11 a.m. PT — hosted by Facebook Live and LeanIn.org — with Yousafzai, the 17-year-old founder of the Malala Fund, a nonprofit dedicated to educating young girls across the world. 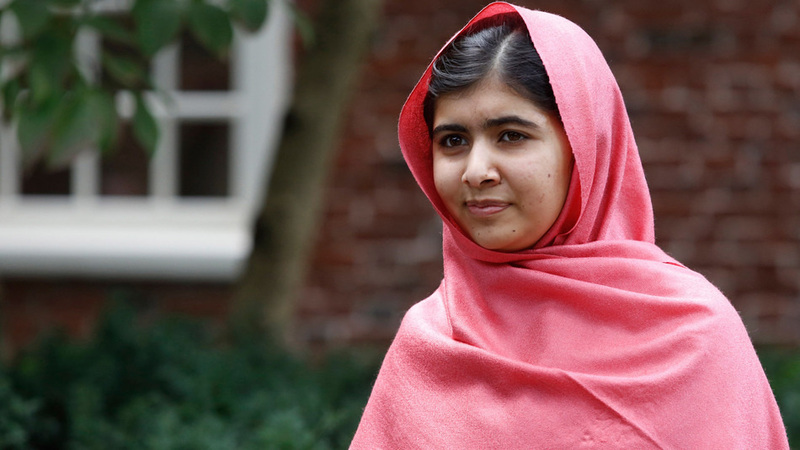 While on her way home from school on Oct. 9, 2012 in Pakistan, Yousafzai was the target of an assassination attempt by the Taliban due to her outspoken beliefs about women's rights and education. Since surviving the attack, Yousafzai's outreach and resolve as an activist has only grown. She established the Malala Fund and addressed the United Nations. Recently, she visited Nigeria as part of the #BringBackOurGirls campaign to urge President Goodluck Jonathan to do more to free more than 200 girls kidnapped by the extremist group Boko Haram. Now, Yousafzai is headed to the social network's headquarters in Menlo Park, Calif., to talk with one of tech's most high-profile leaders and the brains behind the LeanIn movement, whose mission is to empower women in the workplace. Facebook Live, Facebook's nonprofits page, Malala Fund's Facebook page and LeanIn's Facebook page are all accepting questions from users prior to the interview, which will be a major part of the discussion.The conversation will stream live online at all of the pages above. The world is finally getting a glimpse at the magical trailer for Mudbloods, a documentary about the UCLA Quidditch team's fight to make it to the Fifth Annual Quidditch World Cup, held in New York City. Potterheads will recognize Quidditch as the sport created by J.K. Rowling and popularized in the Harry Potter series. Several students have managed to turn the game — which involves flying brooms, Bludgers and Snitches — into a real-life collegiate sport, despite scrutiny from their fellow classmates for being "nerds." The film was directed by former UCLA student Farzad Sangari. It is set to be released, on demand, by BOND/360 and will fly into select theaters October 14." BBC America is teaming up with Fathom Events to host midnight screenings of the Doctor Who season premiere Aug. 23 in 12 cities, the network announced on Thursday. Additionally, more than 550 theaters nationwide will host two screenings on Aug. 25. Tickets for the latter are available now and all screenings will also include 15 minutes of cinema exclusive bonus content. If you need a crash course, try these 12 Essential Episodes from mashable. Doctor Who and Sherlock Holmes finally track each other down. The Doctor wants a new companion, Sherlock wants a another assistant... and so begin the Adventures of Wholock, the greatest detective duo in the galaxy! Lyrics in the video description. Esther Day is not about metaphors. It is not about gestures. Instead of mass produced greeting cards and baked goods, it calls for an uncommon honesty and bravery. Esther passed away from thyroid cancer later that month; she was sixteen. Since then, Nerdfighters have participated in Esther Day, celebrating the power and importance of love. Videos are uploaded, songs are sung, and we tell the people we love that we love them in no uncertain terms. It sounds simple enough. In truth, it often comes as a challenge – being honest and unapologetic about love almost feels counterintuitive sometimes. We flee vulnerability. This campaign – like Esther Day – is about changing that. In the 2013 Esther Day video, John called the holiday “a Valentine’s Day for the rest of love.” There is truth to that and it is an easy comparison to make, but his is a different kind of celebration. On Esther Day, we act for love: to uplift each other and create a more positive fandom; to empower and inspire our community; and to increase empathy. Our goal is nothing less than to make Esther Day a globally recognized, baggage-free holiday about love and gratitude. In the months leading up to Esther Day, we want to make this community an everyday celebration of our favorite holiday. We want you to join in. If you’re seeing The Fault in Our Stars, take a selfie or a picture with your friends making the shape of a heart with your hands. Tag your photos #EstherDay wherever you upload them. Plan your #EstherDay projects and share your plans to inspire others. Attend a Nerdfighter or HPA Chapter meetup celebrating Esther Day. Attend an HPA-TSWGO sponsored Google Hangout with [TBA awesome partners]. Tell a friend or family member that you love them: pick up the phone, make a YouTube video, send them a text, an email, an owl, or some treacle tart. Attend the Esther Earl Rocking Charity Ball at LeakyCon. The beauty of this is that you can figure out what works best for you and then go do it. You can scream I love you’s from the rooftops or you can whisper them. Text messages, YouTube vids, Tumblr posts, scavenger hunts, postcards, positive reviews on Yelp: there’s no wrong way to tell someone you love them. This is what it comes down to: love is awesome. Love is important. Love is what saved the wizarding world and, long before that, its residents. Fandoms become communities when we celebrate loving not just a book or a movie, but each other. Whether it’s via owl post, social media (#EstherDay) or at LeakyCon in Orlando, please join us in celebrating love and celebrating each other during this year’s Esther Day. The Esther Day Project is supported by: This Star Won’t Go Out, The Harry Potter Alliance, Eff Yeah Nerdfighters!, LeakyCon, Penguin Books, MTV Act, The Dinner Party, Evanna Lynch, Anthony Rapp, Pottercast, LeakyNews, and the Leaky Cauldron. Read the whole article from Mashable here. Peter Capaldi will star in his first full Doctor Who episode as as the 12th Doctor when the beloved show returns on Aug. 23. 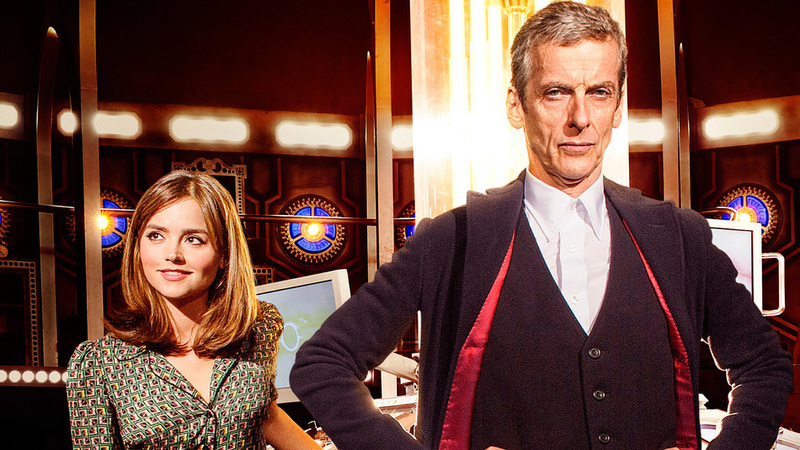 BBC America revealed the premiere date on Friday in a dramatic video teaser featuring companion Clara Oswald (played by Jenna Coleman). "Deep Breath" — the title for the first episode of the eighth season in the revived Doctor Who series — will air Aug. 23 at 8 p.m. ET on BBC America. Capaldi assumed the role in the final minutes of last year's Christmas special, taking over for the much younger Matt Smith (see video below), but this new episode will officially launch the 56-year-old's run as the 12th Doctor.